Accidents involving large trucks can be devastating. According to data from the National Highway Traffic Safety Administration, 11 people die on average every day in trucking accidents, and an additional 100,000 sustain injuries. The Federal Motor Carrier Safety Administration, which regulates the trucking industry, reports that these numbers have been increasing steadily since 2009. What’s the reason for this disturbing trend? In 2014, the last year the FMCSA published data, 175,000 drivers were ordered off the road because they had too many violations on their record. In the same year, 2.1 million trucks were ordered off the road because they failed to meet safety standards. Truck accidents can involve any large vehicle, including 18 wheelers, semis, and delivery trucks. These accidents tend to be severe, and injuries can require extensive treatment. Truck drivers are required to follow strict rules and regulations established by the federal government. They may not, for example, drive too much over a 24-hour period and must get a certain amount of rest. Failing to adhere to these regulations is negligence. If truck drivers have a poor history or a record of substance abuse, the employer of the driver may have been negligent in hiring them. If the truck isn’t maintained properly or misses safety checks, the employer may be negligent in its upkeep. 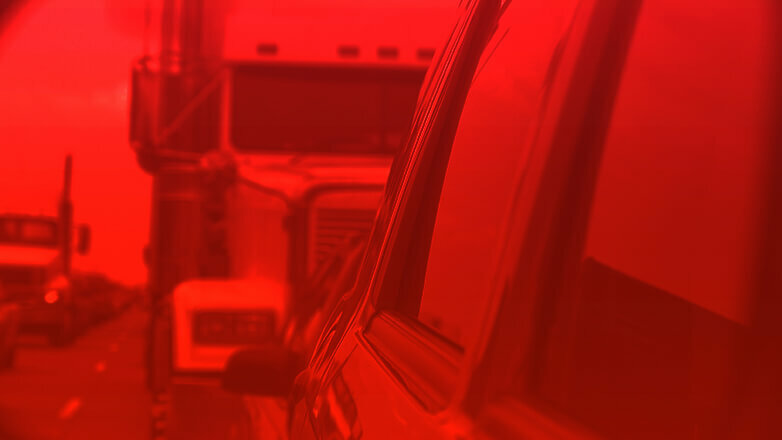 If an accident occurs as the result of an automotive defect, the manufacturer of the truck may be to blame. At the law offices of Rosenbaum & Associates, we adhere to the premise that you shouldn’t have to pay for the negligence of another. We’re committed to helping Wilkes-Barre area families collect compensation for their injuries. If you believe you have grounds for a personal injury claim, contact our truck accident attorneys and request a free initial consultation. Our contingency fee agreements offer legal services at no risk to you. Let us put our 25 years of experience to work – for more information or to schedule your case evaluation, contact us.